Honestly, it’s bad enough being pregnant and fielding opinions and comments from the peanut gallery when it only consists of your family and few randoms at work or in the Target aisles. I can’t imagine what it would be like for thousands of people to suddenly have thoughts on when and how and whether you should be expanding your family or tying your tubes. Seriously. Even though people are celebrities, the public really has no stake in how many babies they have. They can afford them and it’s their time and money and bodies, so why do people feel so invested? 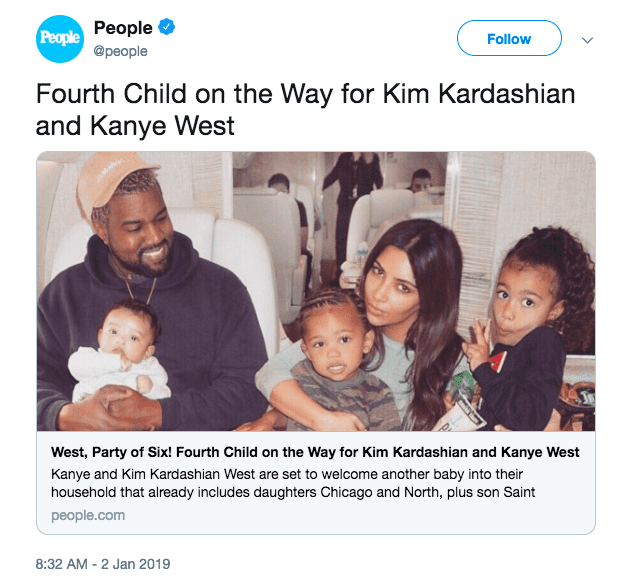 I don’t have the answers – no one does, it is how it is, I suppose – and recently people who probably think bullying is awful took to the Internet to bully Kim Kardashian West about her and husband Kanye’s decision to have a fourth child by surrogacy. The comments range in ferocity and inappropriateness, but a large number of them fall into one of two categories. First up, the people “concerned” about Kanye’s mental health. And you know what, maybe he is going through something. Maybe he does need help. But guess what category that falls under? Right. Also none of your business. My least favorite are the people being truly terrible about surrogacy as an option in general, calling Kim lazy, insinuating the baby isn’t really “theirs” and one person even laughing about how it would be “funny” if the surrogate aborted their child. Guys. Surrogacy is a valid option, especially for women like Kim who had two high-risk pregnancies and deliveries previously. Any woman with her history who wanted to expand their family and able to afford a surrogate would be a fool not to consider it. So maybe the next time you’re tempted to say something snarky, remember that you’re talking about a child coming into the world. 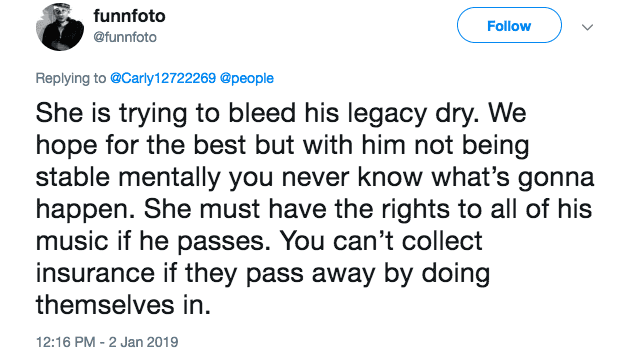 One who will, one day, have access to the Internet and be able to read people’s opinions about his or her existence when it was barely underway. Or, you know, just remember it’s none of your business. Again.